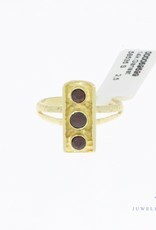 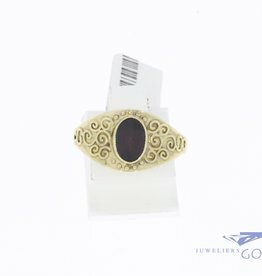 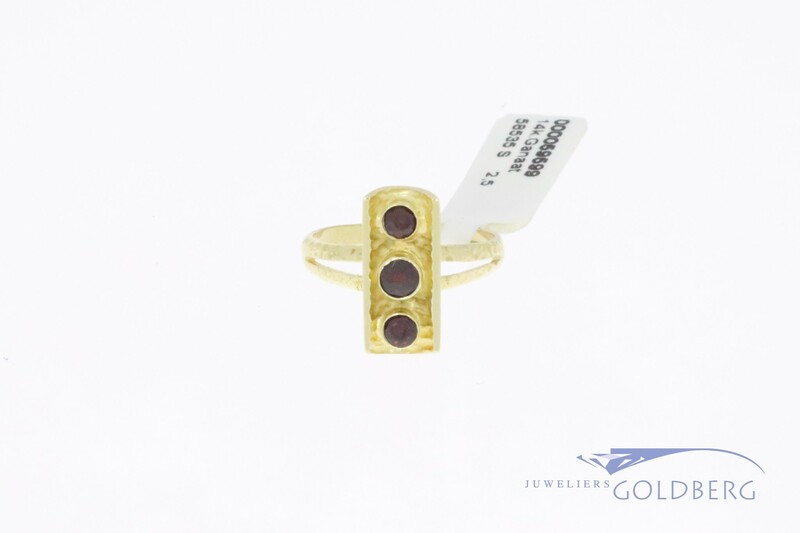 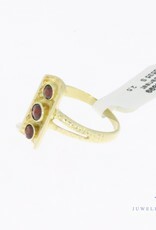 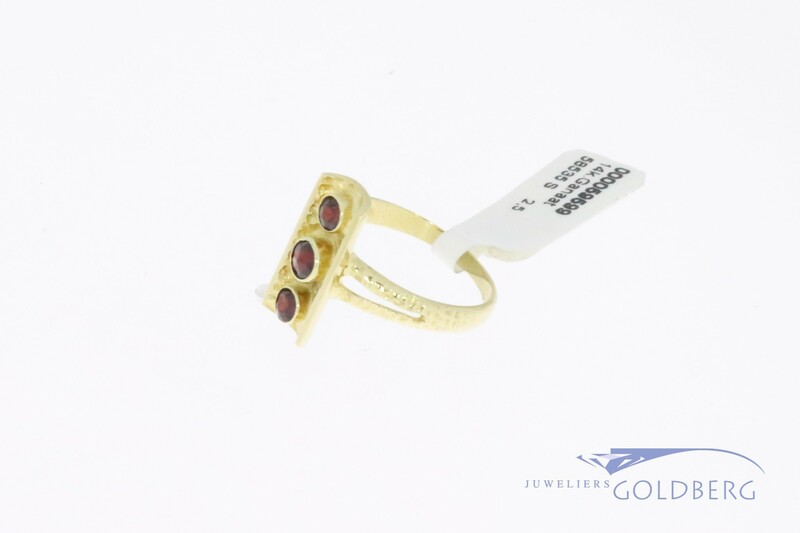 Beautiful 14 carat gold vintage design ring with 3 garnets in a row. 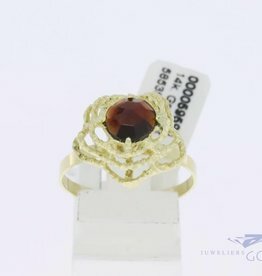 The ring is approx. 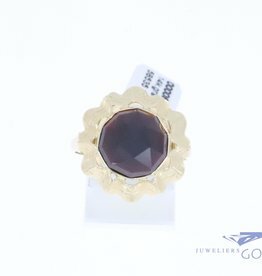 15 mm long and approx. 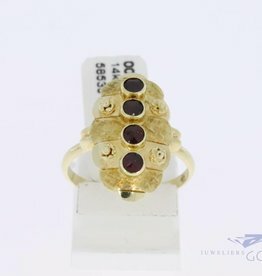 7 mm wide at the top. 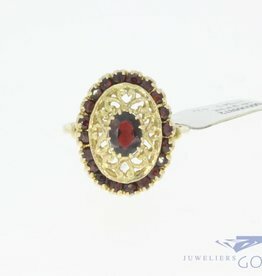 Although the design does not seem very complex, it is a very unique ring to see. 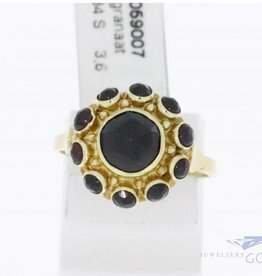 A nice combination of modern and classic. 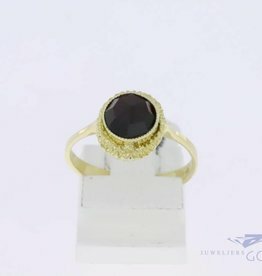 Ring size 16.5 (52) and the size can be adjusted per special request.